2:30-4:00 PM: Project WHO SHOT YA? 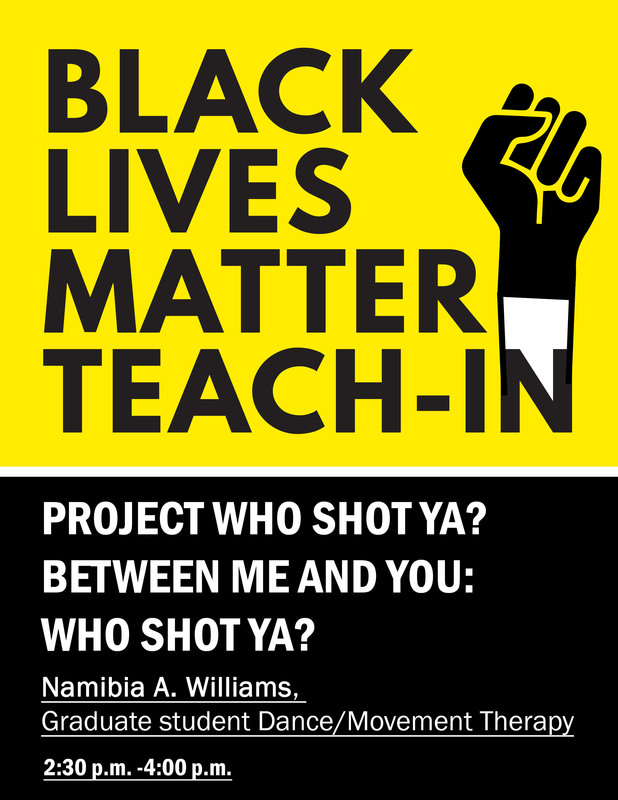 Between Me and You: WHO SHOT YA? “Between me and you: WHO SHOT YA?” creates a space for communication of the complexities of surviving in the US as an African-American man. Using art, music and dance, this event welcomes the conversation around the outrage of police brutality and sanctioned killings within the African-American communities. It illustrates the effects of internalized oppression and shares the Black male’s experience of living in constant fear of disembodiment. My goal with this project is to give Black men a platform to express their emotions in a world where they are normally dismissed/silenced.